Boaters have been Using Flashers and Worm. The Caples Lake Resort and general store is open for the season. Both the EID and the resort are available for boat launching. 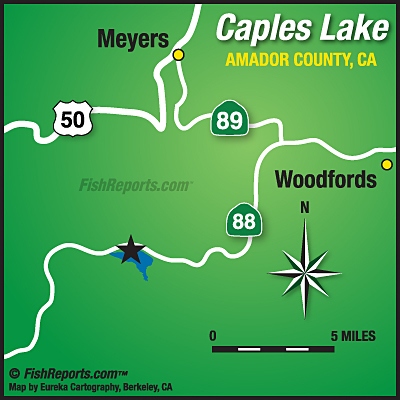 The lake level is very high and the fishing has been rated very good by Joe Voss. Many anglers from boat and shore have been catching good sized rainbows. Boaters have been using flashers and worm. The shore anglers have had better success with lures, but night crawlers or Powerbait has also been productive. The lake was planted by CDFW a few weeks ago and is scheduled soon for another plant of catchable rainbows. The resort is planning to do a special plant this season of trophy trout, but that will be later in the season. For more information stop by the Caples Lake Resort.